Phil Parkinson’s Bradford City roll of honour is incredible. The volume of his achievements cannot be matched by any manager in the club’s history. Rescuing the Bantams from relegation to non-league, and driving it 37 places up the 92-ladder in four seasons. A first promotion in 14 years. Becoming the first manager to ever lead a fourth tier side to a major Wembley cup final. Guiding City to a first FA Cup quarter final since 1976. Defeating 11 higher league teams in cups – including Arsenal, Aston Villa, Chelsea and Sunderland. Recording a first victory over local rivals Leeds United in 28 years. Two Johnstones Paint Trophy quarter final appearances. Knocking on the door of the Championship. For all the talk over recent days about Sheffield United poaching the greatest Bradford City manager in living memory, the disappointed reaction of Sheffield United fans has rankled with me the most. Twitter has been full of Blades supporters turning up their noses at the thought of Parkinson managing their club, with one even asking “what, apart from beating Chelsea, has he ever achieved?” They should be biting our hands off to take on such a talented and successful manager. They quite simply do not deserve to hold Parkinson’s attention. And yet herein lies the greater point about why a move from West to South Yorkshire looks unlikely to be in Parkinson’s best long-term interests. Sheffield United have just finished fifth in League One – two positions above City – and were narrowly beaten in the play off semi finals by Swindon Town. They also reached the semi finals of the League Cup, a year after getting to the last four of the FA Cup. And yet they have sacked their manager Nigel Clough. What constitutes success at Bradford City is clearly very different at Sheffield United. But it gives an impression that the Blades are not a club willing to tolerate short-term bumps on the road. Since Neil Warnock left Bramall Lane in 2007, they have gone through nine different managers. Number 10 will have to be successful quickly, or pay the price. Yet stability is one of the key reasons behind the success that Parkinson has delivered at Valley Parade. The story of Phil Parkinson’s time at Bradford City is headlined by giant killing feats and celebrating promotion; but behind that has been some very tough times and challenging periods. Parkinson did not start life at City well. He failed to win a league game for over a month. His first season was average at best; including dark moments such as the March evening against Crawley, where the relegation-threatened Bantams had their three best players sent off in the dressing room after the final whistle. Flash forward a year later and there was the distraction of facing and losing to Swansea City in the League Cup Final, which had seemingly derailed promotion hopes weeks before the season was about to end. And then another year later, there was the one win in 21 run that looked as though it would never end. More recently, there was last autumn’s awful form and in April the 6-0 home defeat to Bristol City capped off a dreadful run of results. Parkinson has overseen major dips in performances and daunting problems, but each and every time he has overcome and ensured that the club were in better shape for going through them. I have personally never witnessed a City manager guide the club through the inevitable downs of football in such an impressive way as Parkinson. And the joint chairmen – plus a section of City supporters – deserve huge, huge credit for sticking by the manager during the bleaker moments. Parkinson simply wouldn’t have been afforded such time and patience at other football clubs – and, from the outside, it appears Sheffield United would be one such environment. In Nigel Clough, they had a manager who had over time delivered stunning progress at Burton Albion. But such a track record counted for little as his employers acted brutally this week. Parkinson is unlikely to deliver instant success at Bramall Lane – his achievements at both Colchester and at Valley Parade did not happen overnight – and he would probably endure a similar ending to Clough if he were to move to Sheffield. As the speculation has swirled around this week, such thoughts must have gone through Parkinson’s mind. People who are close to him once told me that he views his biggest mistake in management to be walking out of Colchester – just as they were promoted to the Championship – to take up the reins at Hull City. It was a financially brilliant move, but ended badly with Parkinson sacked at the KC Stadium in a manner of months. It for this reason that, in 2013, Parkinson turned down the opportunity to leave City for Blackpool – and history has shown that to have been a very good decision. At Valley Parade, Parkinson has built something special. And what adds to his credibility and aura around the place is just how hard he had to work to bring that success. Yes, City have strong playing budgets, compared to many of the teams they have shared divisions with, but he has hardly spent a fortune. He has relied almost entirely on free transfers and in his ability to bring in the right characters that meet the unique demands of playing for Bradford City. He has brought in people who mirror his ethos on the pitch, and trusted in those people to deliver success. And he is happy at Valley Parade. Again, sources close to Phil have told me that he remains enthused about the prospect of continuing City’s journey up the ladder and building further on his many successes. Whereas other City managers have struggled to work with Mark Lawn, and to a lesser extent Julian Rhodes, Parkinson seems very comfortable with the pair. They do fall out and disagree – witness pitchgate earlier this season – but the plain-speaking style of the trio has worked well. The chemistry is right. If Lawn and Rhodes were definitely staying at Valley Parade, it appears there would be no question that Parkinson would be remaining to. And that is where the sticking point rises. Despite public comments that he would not be looking to leave, the prospect of Gianni Paladini buying out Lawn and Rhodes is likely to have unsettled Parkinson. Paladini’s track record at QPR does not bode well for any manager who values job security or stability. With only a year left on his Valley Parade contract, Parkinson would be vulnerable for the sack if he doesn’t instantly meet the heightened expectations that Paladini’s investment would trigger. Adding fuel to the situation are rumours of a director of football coming in, who would effectively become Parkinson’s boss. Warnock’s name has been hinted at in the national press, and the man himself has passed up on the opportunity to dismiss the idea of taking on such a role, via the Telegraph & Argus. It was very disappointing for a man of Warnock’s experience to see the quotes attributed to him over the weekend regarding the situation at City. Frankly, how would Neil Warnock the manager have felt reading such comments if he were in Phil’s shoes? There is no doubt that the takeover situation is key to Parkinson’s future. The exclusivity deadline runs out on Monday, at which point – if not before – we will finally know if there is to be a change of ownership. The silence around this of late has been curious. Width of a Post has heard – and let me be honest, this is largely speculation with a small amount of substance – that Paladini might be struggling to get the financial backers he had promised. For example, one name initially rumoured to be investing is seemingly no longer involved. The increased press comments from Mark Lawn and Julian Rhodes this week would also suggest that there is greater expectation on their part that they won’t be handing over the reins in the near future. Although for the moment we can only assume that the takeover will go ahead. If Parkinson doesn’t want to be part of the Paladini regime, but equally doesn’t want to walk away from the current City set up if it was to remain in tact, he is a wise man to be maintaining his current silence on the situation. It would seem foolish for him to make any decisions until he knows where the land lies in West Yorkshire. 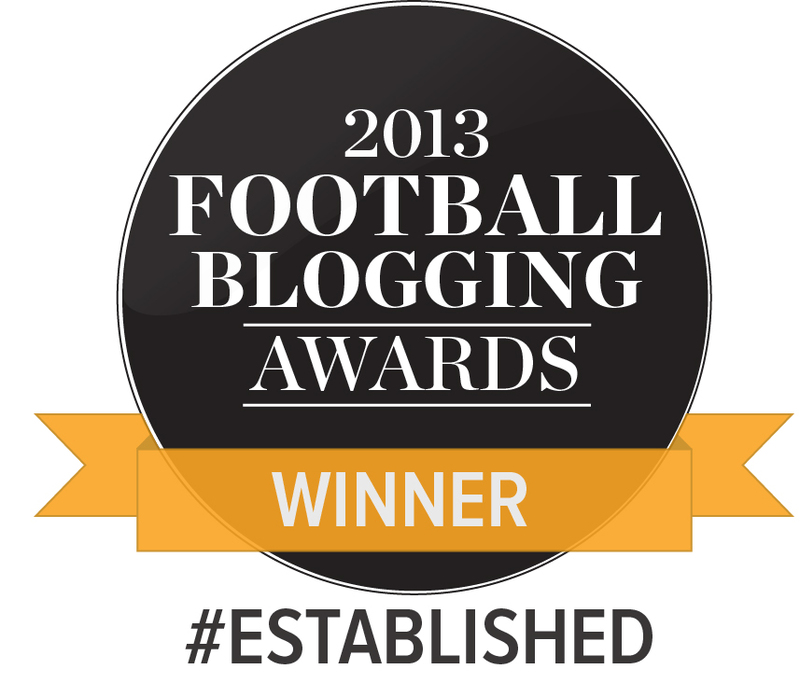 And what of Sheffield United? Sources have told WOAP tonight that there are other names more likely to fill the vacancy than Parkinson, and that the release clause in the City manager’s contract is off-putting to the Blades. There are rumours this clause is £200k, but we understand it is actually more than this. With other names in the hunt currently out of work, it remains to be seen if Sheffield United would want to spend such a sum of money on luring Parkinson to Bramall Lane. It all leaves many people fretting and uncertain about the future – not least City supporters. After the success of 2014/15, Parkinson’s popularity has reached new heights and there can’t be many, if any, fans who would be happy to see him leave. There may not be much that we can do to affect Parkinson’s judgement, but we should still be doing all we can to persuade him that his heart should remain at City, and that we fans are desperate for him to say. And part of that is a duty to ensure that the job continues to look attractive to him. That takeover or no takeover, Parkinson will have the tools he needs to continue the Bantams’ progression. Season tickets are the most obvious, tangible sign right now. The decision to drop prices to £149 is hugely commendable and deserves to be rewarded by an increased uptake. City are around half way to reaching their target, yet after this week there are claims from some long-standing supporters that they won’t renew until they know for sure whether Parkinson is staying. Surely, with prices so low, this should be a time for a leap of faith. Whilst I understand more than anyone just how unappetising Bradford City without Parkinson would be, we cannot wait around for the worst to happen. Buy a season ticket if you haven’t, get those numbers up, and demonstrate to the manager that those amazing atmospheres of last season will once again be the norm next year. That in good, bad and indifferent times next season, Parkinson and his players will be roared on by one of the biggest and most passionate crowds in the division. That sort of prospect is a mightily difficult one for anyone to walk away from. 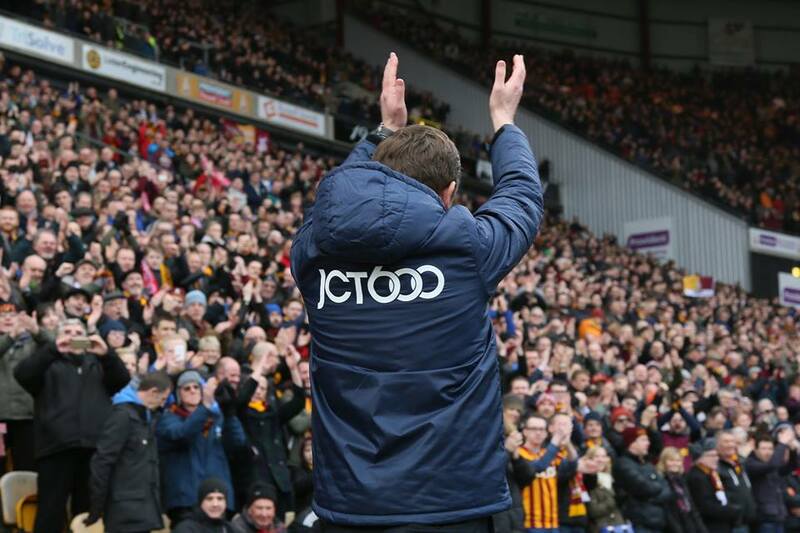 Bradford City and Phil Parkinson have shared some glorious times – let’s show that we are with him and willing for him to make even more history. Good balanced piece Jason. I myself have heard from a reputable source that the take over is by no means anywhere near a done deal. It remains to be seen whether there are other potential buyers waiting in the wings but despite their statement that they couldn’t fund a Championship side, clubs with smaller budgets have managed it and i would be quite happy for JR & ML to continue running the club their way. I think PP knows how we feel about him and i hope he sees his future remaining at VP. Good article.Very impatient folk at SUFC.Semi Finals 2 years running no doubt making them financially healthy and a play off place this year.He has created spirit at City.The right one.That can be built on with little adjustment.He would be mad to go.Takeover or not.Bournemouth show the way.Another bright young manager and if spirit is right the worlds the limit in very fine margins. An excellent point, Mike – the first one I had, actually. IF SUFC are to sack Nigel, with his impressive, recent measure of success, then what prospect is there for any would be manager, knowing anything other than promotion will ensure the same firing squad? Also yes, another fine article by Jason. Expectation as you say is probably the big difference between the Blades and Bradford. Most of the younger Blades fans will never have seen the Blades play as low as League 1, unlike me who say them play in the fourth tier. Now looking at a fifth season in League 1 they are desperate to get back into the championship where they feel we belong. I don’t think we are necessarily looking down our noses at Parkinsons achievements, but probably see him as being too similar to Clough, a builder of teams who adds year on year progress, which is not what we are wanting atm. We are fairly stable and have invested in the playing side, but despite Clough saying in the close season, he wanted to keep a small squad and add 3 or 4 quality players, he ended up signing over 20, with the majority proving very mediocre. He was that stubborn with chasing his main targets that he chased them all the way to the January transfer window, rather than looking at alternative players and he ended up only assembling the team he wanted in January…….however, still never addressing the fact we had only 1 young CB with injury problems and 1 other young CB that he loaned out, leaving us playing full backs at CB for virtually the whole season. His attitude of starting off with one point and trying to keep it, with maybe sneaking a win was also a major part of his downfall. you can’t be that negative week in and week out when you are playing teams like Fleetwood, Crawley etc. at home and not trying to attack them. So from the outside it may look crazy sacking Clough after getting us into 5th position in the table, but it was the negativity after having such a large budget available and being so far off the top two teams that has sealed his fate. And to be fair, other than the inevitable grumbling on forums etc. the fans had never protested against Clough and at least 50% would have been happy to give him another season to correct the errors if this past season. Anyway, Best of luck for next season. Some good points there, Andy – However – PP works in a similar fashion to Nigel, and his primary targets are just that. Some things are just worth waiting for. Also …. 99.9% of supporters are not privvy to Boardroom discussions – these too could well have had an influence on any non signings. Yes, Nigel was heavily backed, but negotiations may have been a stumbling block, with your Board, Agents fees, etc ….we’ll never know. What I do know is, so long as Phil Parkinson remains at BCFC, I, and thousands more, will be very happy.